ORLANDO—It can be hard to tell if what you’re doing is right; if you’re opening the right doors. Sometimes it is a slow realization, and sometimes the doors that open may be literal. They may even open on a dimly lit restroom in a brick-accented downtown bar. In this moment, I hear a voice over my right shoulder and begin asking questions about the night’s competition. “Sweet Cambodia,” comes the reply. “I’m Donnie.” A lanky, curly headed gentleman is eager to talk about the event. “All of the songs you hear us play tonight; you won’t be able to put your finger on the sound,” says drummer Donnie Fusion as he washes the set list off his arm about 10 minutes before Sweet Cambodia takes the stage. At first, I am skeptical of that fanciful declaration. The conversation peaked my interest in Sweet Cambodia’s set. Within minutes the band proved themselves. 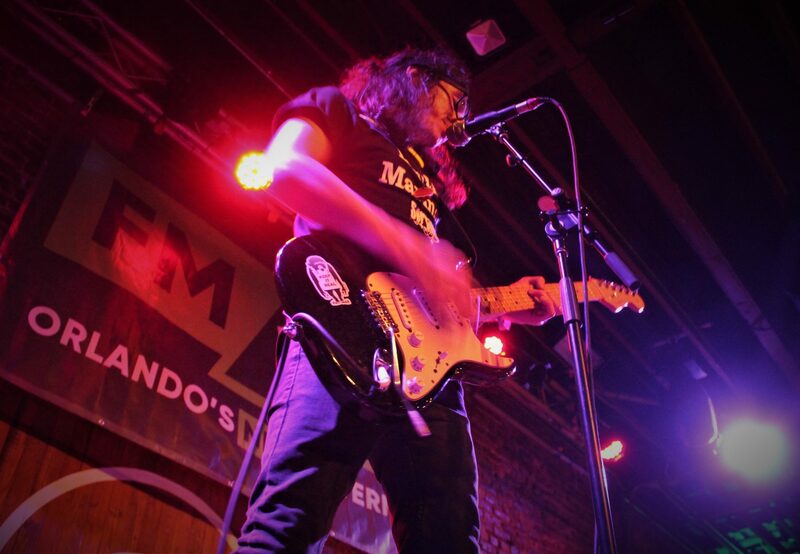 As the second of three bands to perform, Sweet Cambodia gave the audience everything, playing songs from its debut album, “Tasty,” and including a cover of “Jerry Was a Racecar Driver” by Primus. The performance finished with guitarist Eric Charles crowd surfing and then collapsing with excitement and exhaustion, like roadkill that had been full of life moments prior. It was then that I thought back about the first band, and worried about the next, wondering if Sweet Cambodia had the flash and production quality to win. There was no doubt about the talent and passion. The event was The Big Break presented by FM 101.9. It took place Oct. 25 at The Social concert hall. The top three finalists—Linqo, Sweet Cambodia, and Kasson—earned the chance to compete for their big break, a chance to play with artists Weezer, Cold War Kids, Sir Sly, Young the Giant and more at the Florida Man music festival, which takes place Nov. 30 at the Central Florida Fairgrounds. 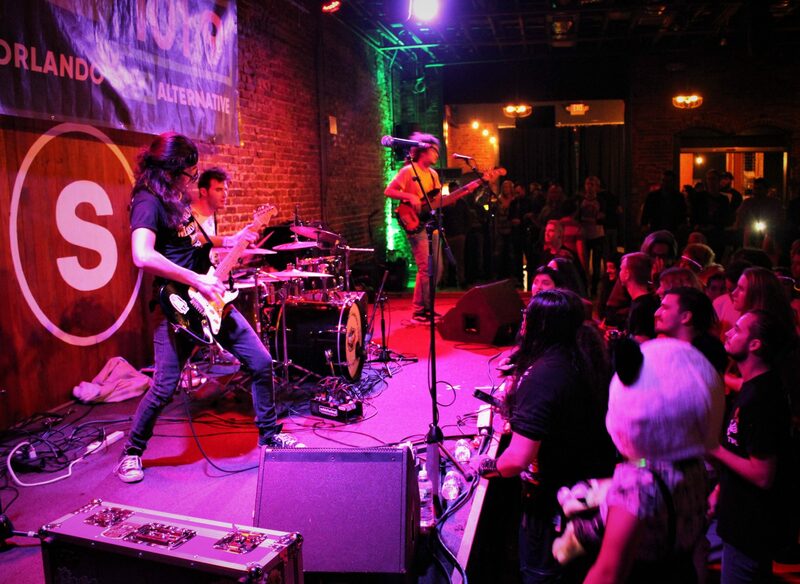 The first band to showcase its talent was Linqo; an “ambient Indie-Rock” group from greater Orlando. The openers popped in like hard rock bubbles, with a pop aesthetic on the modern indie sound. Linqo reminded listeners of a more futuristic pop-punk band, without the sharp punk rock edge. The band curated a nice ambiance that was at first fast-paced then mellow to start the evening. Their mixture between heavy guitar and light, atmospheric synthesizer is a common cocktail. It went down easy. Very talented, yet lacking the risk to try something out of the ordinary, Linqo played a handful of original songs and threw in a few crowd-pleasing covers. The sound they set out to achieve had been nearly perfected, but the familiarity of the music did not set them apart. Linqo includes four members: Marco Scot on guitar and vocals, Ellie Kim on keyboard, Josh Petit at the drums and on vocals, and Thomas Re on guitar. The band released an album in each of the lat two years: Linqo in January 2017 and Nomadic in May. Overall, their sound was familiar and wholesome. Then Orlando’s Sweet Cambodia, the obvious underdogs of the show, were the only group without excessive decorations and outfits. Instead, the band members presented themselves as real people. There was no inordinate stage design, no fog machines, no special effects, and no crazy outfits; just jeans, T-shirts and instruments. They relied on their talent, and that alone, was their ace in the hole. Sweet Cambodia shot on stage like a crack of lighting. All the patrons at the venue seemed to change. The band’s passion was bleeding down the walls and into the crowd, as if the air suddenly changed and gave life to the audience. The pit in front of the stage flooded with bodies, and girls in panda outfits threw out candy for all the fans, old and new. When they started to play, it was the first time I’d seen dancing that night and once their set ended, the crowd begged for more. Everyone had become synchronized and screamed for an encore at once. “One more song! One more song! One more song!” echoed through The Social, as the army of sweaty bodies demanded more from Sweet Cambodia. The audience prevailed, and the band played one more song, which pleased the audience. Fusion was right when he said labeling their sound would be hard, but, according to the band, that is the last thing they want. Sweet Cambodia earned serious respect for nearly inventing a genre, cultivating their sound from a variety that spans across the board. Their meticulous rhythm section held their set together like a tight weld, leaving open reign for the lead guitar (Charles) to experiment. It was the combination of: groovy bass, precise and technical fast-paced drumming, innovative, experimental guitar, and vocals that gave their music the edge; leaving open the option to jive and dance or headbang and mosh. If Primus, Sublime, and Funkadelic got together for a session, the result would sound a lot like Sweet Cambodia. It seemed unfair that any band would have to follow the Sweet Cambodia performance. The final band was Kasson, a three-piece group located near Ocoee. “We all have a house out there (Ocoee) we share and jam at,” said guitarist Jordan Telesca. The band also features Telesca’s long-time friends and twin brothers: Durik Comtois on lead vocals and Evan Comtois on drums and vocals. Taking the stage filled with smoke machines, fluorescent color changing lights, and large audio equipment, they closed out the show. Kasson is the epitome of “alternative rock,” including very produced vocals and an audio backing track. The band’s set had that signature alternative-pop feel to it, giving the performance the aesthetic of an Imagine Dragons/Fall Out Boy collaboration. Judging by their set-up, it seemed like the stage design alone would reel them into first place. The feeling increased as their modish sound bounced around the venue like an electro-pop beachball, though there weren’t many people there left to catch or throw it back. They played music off of their latest album “Infinity,” a five-track EP released in 2017. Their set was overall enjoyable, with a production-oriented alternative-pop sound. At this point, members of each band tried to control their anxiety while waiting to find out who won their big break. “Drum Roll please!” yelled James Steele of FM 101.9. The anticipation hung like an ominous cloud of disappointment and prosperity, as everyone would have their own story to tell when it was all said and done. The crowd went insane. People began screaming and throwing candy, cans, papers and all sorts of things they could get their hands on, into the air. The members of Sweet Cambodia turned red and began jumping for joy and writhing with excitement. They turned and hugged and thanked anyone they could. The reaction was pure, honest and grateful. “We’re going to Florida Man!” shouted Savvy, running up with an electric look in his eye. It was with that promising look that the members of Sweet Cambodia stared into the future they’d set out to achieve. Sweet Cambodia earned its Big Break and will be playing the Florida Man festival at the Central Florida Fairgrounds, Nov. 30.